ZTE has recently unveiled the ZTE nubia Z18 mini as expected considering the release cycle of the previous phones in this series. While it’s easy to guess from the title that it will be a small phone, it’s not really small physically and is also packing mid-range like specs. To learn more about this phone and the ZTE nubia Z18 mini Nigeria price, keep reading. As all the phones are shedding bezels these days, it’s easy to fit in a bigger screen in small dimensions and that’s the case with the ZTE nubia Z18 mini as well. The ZTE nubia Z18 mini is packing a big 5.7-inch screen showing 2160 x 1080 pixels resolution, 18:9 aspect ratio and 424ppi of pixel density. It’s a good-looking phone with less bezels and the 80.2% screen-to-body ratio with glossy back gives it a premium feel. Right now the phone is available in China only and it can be found in these colors after the ZTE nubia Z18 mini release date Nigeria: Glacier White, Ying Yu powder, Diamond black, Provence Edition and Celadon blue. For a mid-range phone, things are looking good in the camera department. The ZTE nubia Z18 mini will be packing dual cameras on the back: one 24-megapixel sensor with f/1.7 aperture and one 5-megapixel camera. Users will be able to capture 2160p videos at 30fps using the rear camera. Surprisingly the front camera received a major change compared to its predecessor and now comes with an 8-megapixel camera with f/2.0 aperture. 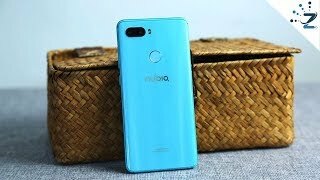 Although it sounds like a demotion, we will have to wait for the ZTE nubia Z18 mini release date Nigeria to find out more. For now, there is the OnePlus 5T, Huawei Mate 10 Lite and LG G5 you can check out as these phones are also packing good cameras. These are almost in the same price range as the ZTE nubia Z18 mini Nigeria price. Under the hood, the ZTE nubia Z18 mini is packing a Qualcomm SDM660 Snapdragon 660 octa-core processor paired with 6GB of RAM. Users can choose from two different built-in storage options: 64GB and 128GB. There is a big boost in battery size as this one comes with a 3450mAh Li-Po battery with fast charging support. Considering the specs inside, this battery should easily last a day after a good amount of usage. Other notable features of this phone are: Android 8.1 Oreo operating system, nubia UI, microSD card slot, 3.5mm headphone jack, Bluetooth 5.0, GPS, USB Type-C 1.0 reversible connector and fingerprint scanner on the back. 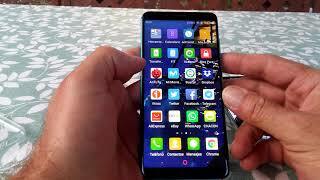 For those of you who are interested to get a phone with big battery, there is are two phones you can check out: Xiaomi Mi Max 2 and Asus Zenfone Max 2016. The starting price of the ZTE nubia Z18 mini will be around ₦ 113300 . 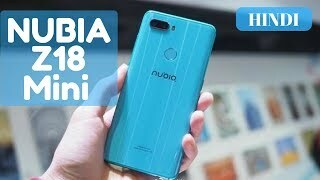 It’s already available in China which means we won’t have to wait for too long to get a ZTE nubia Z18 mini release date Nigeria. The nubia z18 mini Mobile Phone is manufactured by ZTE and was added around May 2018 and is part of the ZTE nubia Z18 mini series.